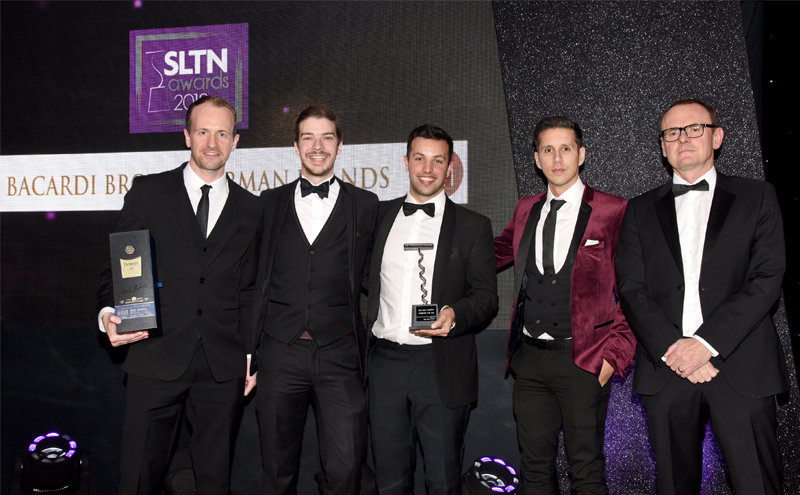 Click on each category below to view the finalists. 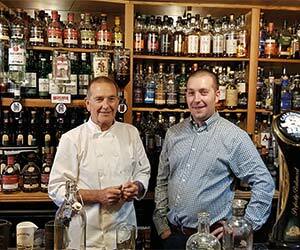 Father and son team David and Ewan Graham have worked hard at establishing the Ballygrant as a destination for whisky fans. 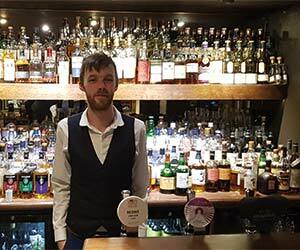 Not only does the bar’s gantry feature more than 800 whiskies from Islay, Scotland and across the world, but head chef David ensures that the venue’s regularly changing menu is well-suited to pairing with flavours from the whisky list. There are also pairing suggestions for matching whisky with beer, as well as the ability for designated drivers to purchase ‘drivers’ drams’ to enjoy at home. 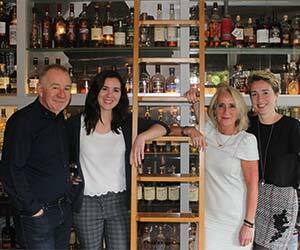 The Murray family acquired the Dowans Hotel in 2012 and, in addition to extensively renovating the premises, made whisky a major focus of the business. Despite the hotel’s Speyside location, the range in its stunning Still bar includes bottles from every active Scottish distillery, as well as a selection from other countries. 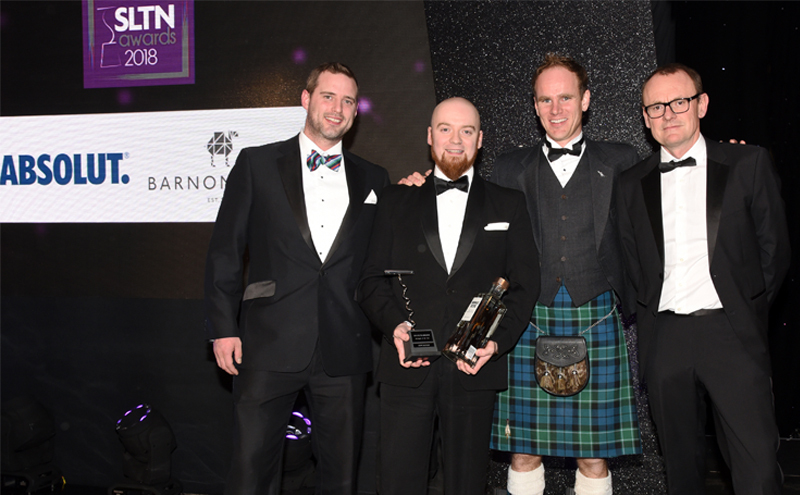 The focus is very much on providing customers with something they won’t be able to experience at home, from unusual, affordable drams to those at the luxury end of the price range. Visitors to this basement bar can expect to see whiskies from across Scotland, encompassing both contemporary and historic bottlings. A range of whisky flights provides visitors with a cross-section of different whisky regions and styles, and regular events showcase the spirit, with recent examples having matched whiskies with chocolate and cheese. 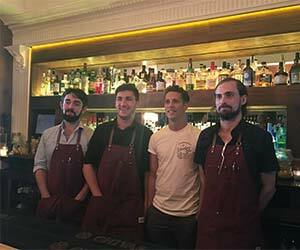 The team’s passion for whisky is also illustrated by the recent formation of the Edinburgh Bartenders’ Whisky Club, which is open to bar staff across the capital. Orchid’s evolution continues, with its new drinks laboratory among the most recent developments. 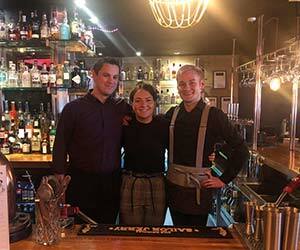 The team at this Aberdeen bar prides itself in pushing boundaries when it comes to drinks, creating technical cocktails which showcase their own spirits, syrups and cordials. Despite the complex nature of the drinks – and the ingredients and methods used to create them – Orchid’s cocktails are very accessible, and the bar staff are confident and knowledgeable in their recommendations. From light, tall, fruity cocktails to strong, short, bitter drinks, Panda & Sons strives to offer something to suit all tastes. Theatre is a crucial part of the cocktail offer – whether it’s serving drinks in unusual vessels, using interesting garnishes or presenting cocktails surrounded by smoke, the aim is to create an experience with each serve. 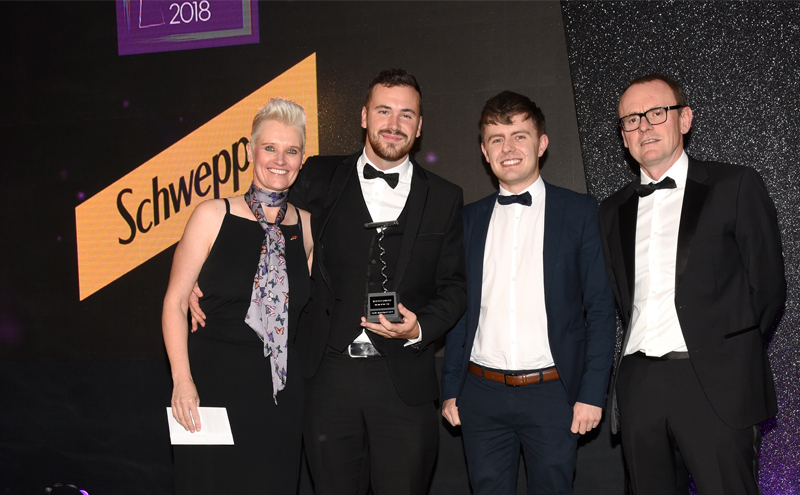 The team at Panda & Sons is passionate about customer service and staff work hard to continually develop their knowledge through training, cocktail competitions and travel. Centred on the fictional character of William ‘Buck’ Clarence and his travels between the years of 1900 and 1935, The Voyage of Buck has a menu to match, reflecting the style of drinks from that era. Interesting and creative flavour combinations, such as roast butternut squash-infused rye, are used to transport consumers to each destination, with the garnishes used and story behind each serve adding to the theatre. Training is ongoing and staff have a successful track record on the competitions circuit. 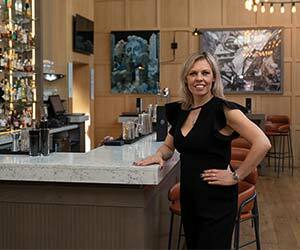 Under Annie’s reign, the Apex bar has seen the introduction of a host of Scottish craft products – including a gin range that’s leapt from four to 17 brands, five of which are sourced within ten miles of the hotel. 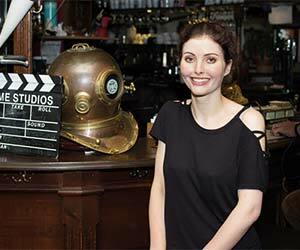 Annie keeps her team shipshape with regular training and is switched on to trends in the category. No stranger to serving up small-batch and craft spirits, Sam Baxendale has worked with a smorgasbord of brands over the years. 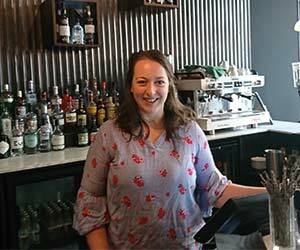 Owning a venue may have brought a new set of challenges, but that hasn’t stopped Sam from continuing to experiment with craft spirits in some interesting ways. 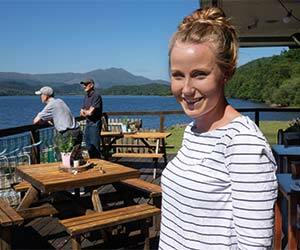 There are few bartenders in Scotland with a CV like Jody Buchan’s. 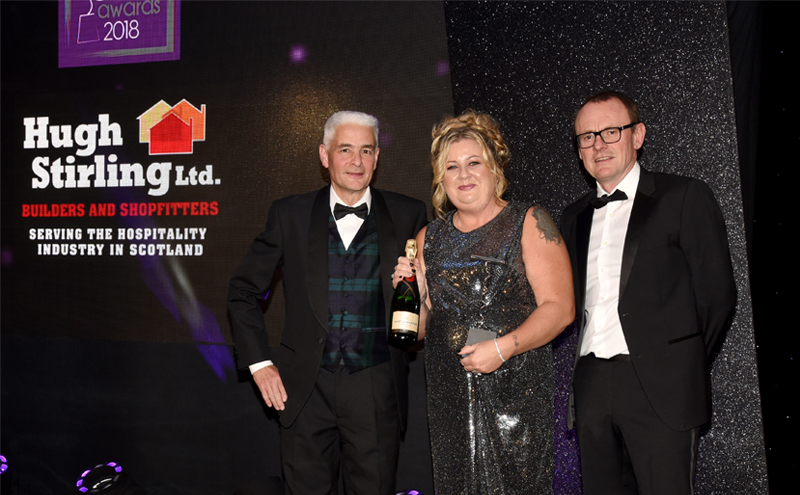 Over the years, Jody has held brand ambassador roles for AquaRiva and Rock Rose and worked at bars including Edinburgh’s Heads & Tales. All that experience has certainly left Jody with plenty to draw upon for his first owner venture, Kin. 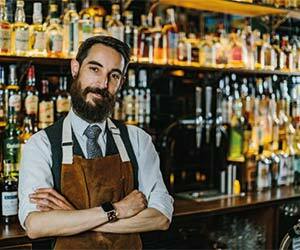 Straight out of San Francisco, Callum Neilly may have made his home at The Finnieston, but ask for a bourbon recommendation and prepare to be treated to a wealth of knowledge. 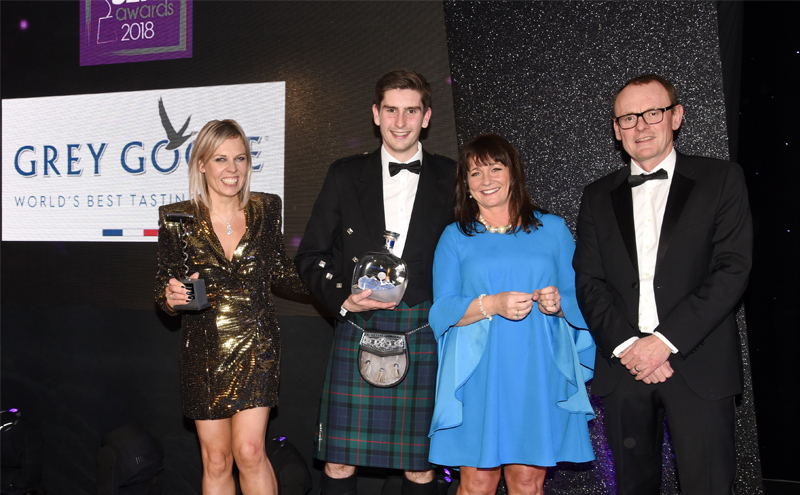 Continually developing and on top of the latest trends, Callum can guide guests through just about anything spirits related. The minute you walk in to the King of Islington, it’s clear that rum is the bar’s crowning glory. 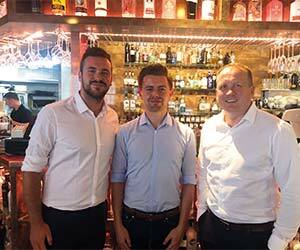 An innovative menu, which aims to take customers on ‘a journey across the seven seas’, splits the venue’s extensive collection of more than 120 rums by region, with different styles, tastes and budgets all well-represented. Impeccable staff knowledge ensures that customers will have little trouble finding a new favourite in this pocket-sized Dundee bar. Tiki is very much the heart and soul of this Glasgow bar; from the cocktails on offer to the novel vessels the drinks are served in. 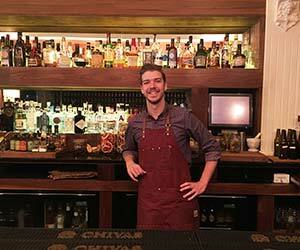 But make no mistake, the bar’s fun approach to the category is underpinned by well-informed, highly-trained staff, whose passion and enthusiasm for the spirit consistently shines through – especially when it comes to its well-established Rum Club, which has accrued an impressive following and reputation over the years. 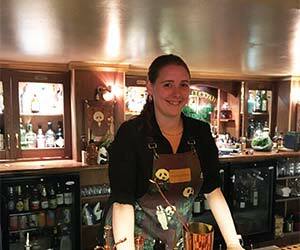 It may have been in operation for a decade but The Voodoo Rooms remains at the forefront of rum trends. A diverse selection on the back-bar to suit all tastes and budgets, coupled with an equally impressive range of mixers and garnishes, means there’s more to this bar’s rum range than meets the eye. Clever initiatives such as half-shot flights also encourage customers to step out of their comfort zone and sample new and unusual rums. 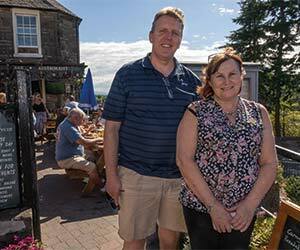 The characterful Esplanade bar and restaurant on Portobello beach provides a very wide range of soft drinks to suit its broad clientele, which includes locals, day-trippers and overseas visitors. 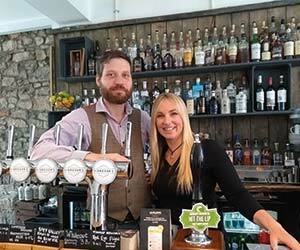 The range includes everything from home-made ginger beer and lemonade, to milkshakes, mixers and a full list of main market products on draught and in packaged format. Daily specials include soft drinks and mocktails and there’s a takeaway drinks service for beach-goers. American diner-themed Monterey Jack’s sees soft drinks as one of the defining aspects of its offer. There’s a full range of main market products on draught and in packaged format. Presentation is excellent on everything from drinks like soda and lime, through branded products, to the remarkable range of mocktails. Judges were very impressed by the mocktail versions of the full cocktail range and by the attention given to soft drinks in marketing materials. This Leith venue, famous for its teapot cocktails, has one of the widest ranges of soft drinks to be found in Scotland. A powerful centrifugal juicer provides the pure ginger juice for its famous home-made ginger beer as well as fresh-as-can-be juice of raspberry, apple, watermelon, carrot and more. There’s a fresh citrus juicer too. The bar has a modern, environmentally-friendly post-mix dispense system. And it features a full range of well-known soft drinks brands. 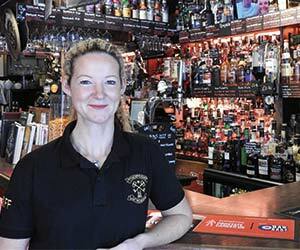 Said to have kick-started the craft beer scene in Inverness, the Black Isle Bar & Rooms boasts an extensive range. 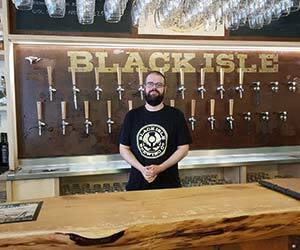 With 26 draught taps – ten of which typically host Black Isle’s own organic brews – as well as over 100 bottles and cans in the fridges. The selection means craft beer aficionados will have no trouble finding something new and interesting to sample. 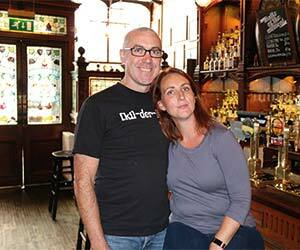 And the bar’s own dedicated app helps keep customers up to date with what’s on the taps. There’s no questioning Shilling Brewing Company’s craft beer focus – with over 30 taps, a comprehensive packaged range, and an on-site microbrewery to boot. Alongside its own beers, an ever-changing range of brews is offered across the rotational taps, ensuring all tastes are catered for. 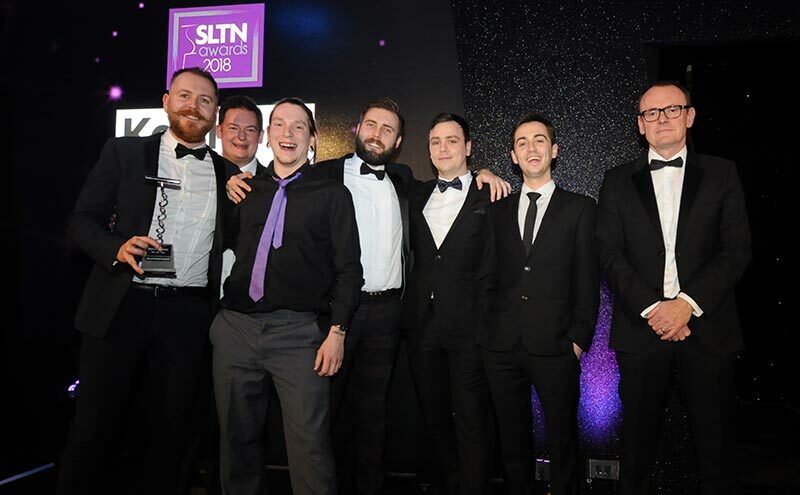 Training is second to none, with the in-house brewery strengthening knowledge amongst all staff, and helping the bar to remain at the fore of ever-changing trends within the sector. 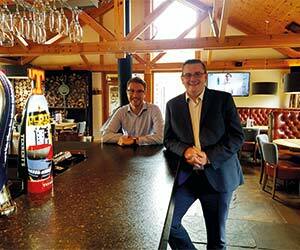 The Blue Blazer is a perfect example of a pub which truly understands, and caters for, its customer base. While there’s no denying its cask ale range is impressive, the bar offers an extensive selection of core and rotating craft beers of varying styles to cater for its broad clientele. Working closely with local and national brewers, the team at The Blue Blazer keeps craft fans on their toes with regular tap takeovers, as well as ‘meet the brewer’ events. Beer is more than just a part of the offer at Brewhemia – it’s the entire concept behind the venue. Formerly a sports bar and nightclub, this sizeable Edinburgh outlet is now a dedicated beer hall, serving quality brews from around the world from eight tanks and 12 keg lines. Staff training is taken seriously, and the venue has its own dedicated training manager in place to ensure the team keeps standards high. A popular resort for both holidays and events, Forbes of Kingennie has a rigorous approach to beer quality that starts in a clean and organised cellar and ends in well-maintained glassware. 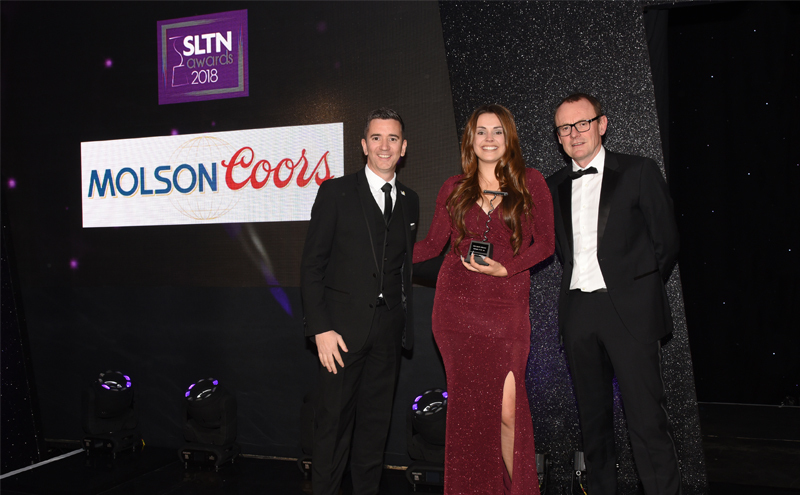 Regular line cleaning and a solid glass washing system help to ensure beer is always served at the highest possible standard, and the importance of quality is reinforced through ongoing in-house staff training. A gleaming cellar forms the beating heart of this busy community pub, which is popular with locals as well as visitors to the area. The beer lines are cleaned weekly and a full range of branded glassware – cleaned regularly – ensures every pint, whether lager, stout or 80/-, is tip-top. Quality is clearly important to the management; there’s a good reason some of the pub’s customers have been drinking there for decades. If you ever fancied sampling the finest drinks Europe has to offer, all under one roof, then Brewhemia might just be the place to go. Building its concept on the story of Robert “Rabbie” Stuart, a travelling man from Leith, Brewhemia serves the best of Bavaria, the Czech Republic, Italy and France, with a quality Scottish offer to boot. Whether you’re looking to start the day with a quality coffee, celebrating a special occasion, or in the mood for a bit of energetic cabaret, Brewhemia has it covered. Nestled on the corner of Ashton Lane, Innis & Gunn Beer Kitchen has plenty to offer whether you’re a beer novice or something of an aficionado. Spread over three levels, the venue has a broad offer – from the tap room feel of the ground floor, to the first-floor restaurant and speakeasy-style cocktail bar. The offer throughout is underpinned by quality beer, which should come as no surprise from a venue with its own working microbrewery. Its Brew Schools and beer pairing events are not to be missed. Scotland sits at the core of the MacGregor’s offer – but don’t be fooled into thinking it’s all shortbread tins and tartan carpets. Owned and operated by enthusiastic folk music fans, and artists, MacGregor’s keeps authentic Scottish heritage alive through its live sessions, as well as encouraging a new generation of young musicians. A smart interior that showcases Scottish design, and a food and drinks offer that blows the trumpet for quality local produce, combine to create a real Caledonian treat. 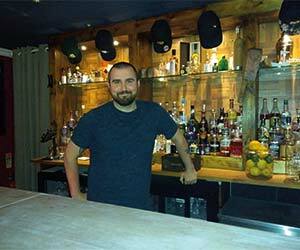 This bar has brought something special to the thriving east coast town. Attention to detail has transformed this former sorting office into a striking, atmospheric space, welcoming students and golfers alike. 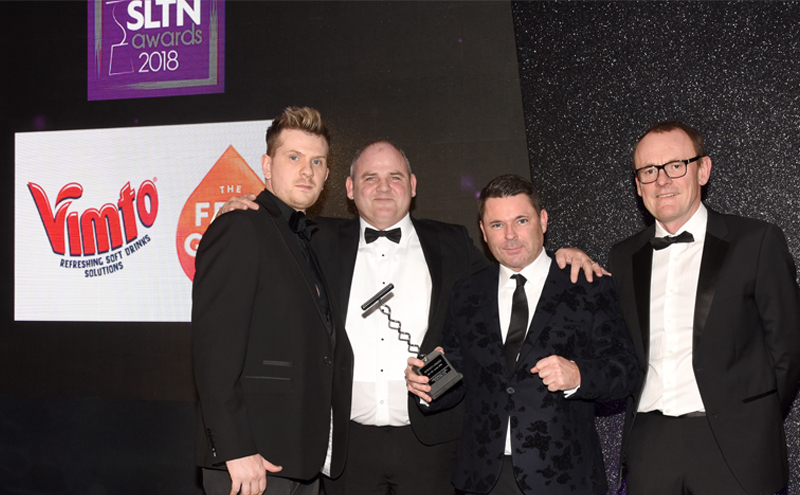 A family-run business, its core values include instilling excellence in its pro-active team, and a mentoring programme for staff is in place from the outset. When it comes to drinks, The Adamson’s handcrafted cocktails showcase premium brands. 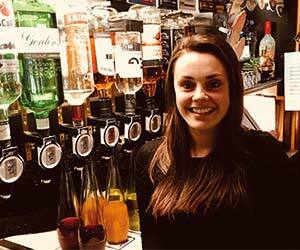 At the weekend catch the MD working her magic behind the bar. 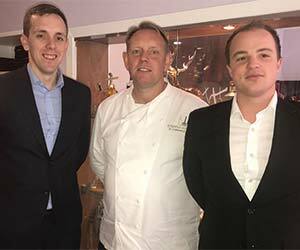 With a focus on flexibility and an openness to change, the team at this recently-launched establishment has a very hands-on approach. Its small and dedicated workforce interacts daily, exchanging ideas to develop superb customer service. Food, devoted to fresh flavoursome produce, is served in contemporary, considered surroundings that feature marble, wood and leather. 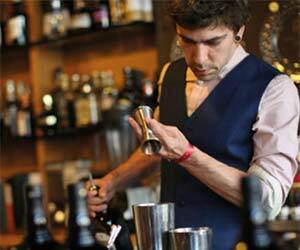 Cocktails change weekly and take inspiration from the season and what’s happening in the city. 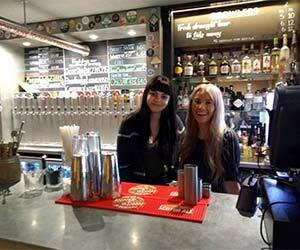 This is home to the capital’s first ‘low and slow’ taphouse, where locally-sourced produce is given love and attention. Meat and fish is prepared over white oak charcoal on an open firepit and unpasteurised craft beer is poured from copper tanks. Thanks to a total refurbishment of the former venue, which had been a go-to for 18 years, this subterranean hot spot has proved to be a hugely popular destination for those who enjoy cool design in a convivial atmosphere. 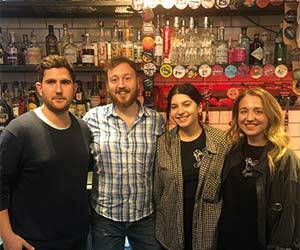 Launched just two years ago in the heart of Glasgow’s west end, beGIN has quickly established itself as one of the city’s go-to bars for gin enthusiasts. 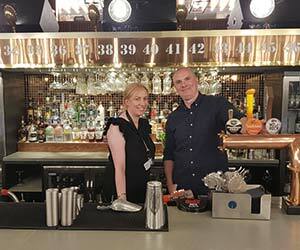 The passionate team behind the venue impressed judges with the bar’s expansive selection of the spirit, complemented by a good array of mixers and garnishes – not to mention its large gin club, which offers members the chance to attend monthly ‘meet the maker’ events. Gin71’s concept of a selection of 71 gins, which changes every six months, means there is always a new gin for connoisseurs to try, presented in an impressive range of serves. 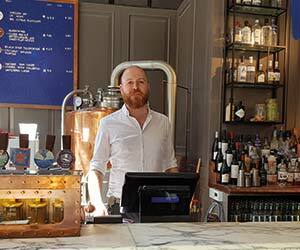 However, the bar’s approach to the distillate goes beyond the drinks list, branching into food, tasting events and even extending to classes on how to make lamps from gin bottles. If all this tires customers out, there’s a gin spa for them to recuperate in. 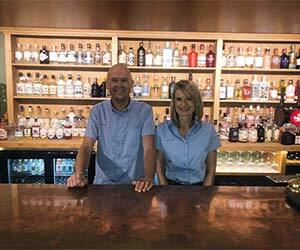 Three years ago, spotting gin’s growing popularity with drinkers of all ages, Simon and LJ Jackson, the husband and wife team behind this traditional wet-led pub, decided to expand their gin range, which now extends to over 200 different products. 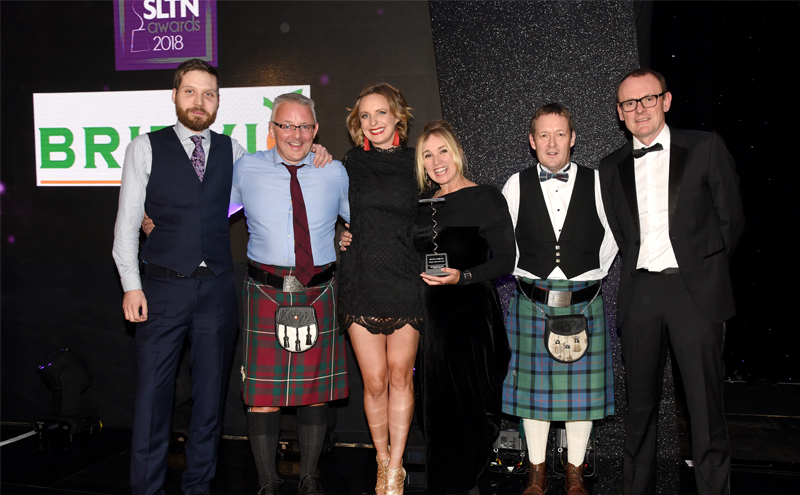 This year the couple pushed their knowledgeable approach to the spirit further by refurbishing the venue’s lounge to focus solely on gin, giving the south of Scotland a true haven for gin lovers. 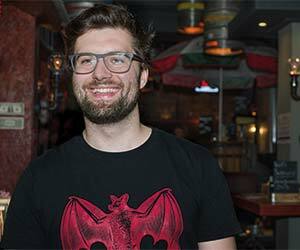 Since starting out as a part-time bartender over a decade ago, Ross has honed his skills through a combination of gaining experience in bars around the world and developing his own knowledge. 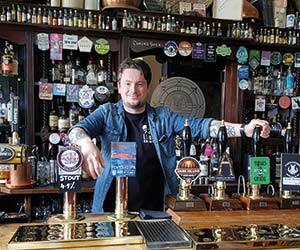 His enthusiasm and friendly personality are a hit with both staff and customers in the busy Edinburgh pub; and he works hard to continually expand his own knowledge and skills – and those of his team. 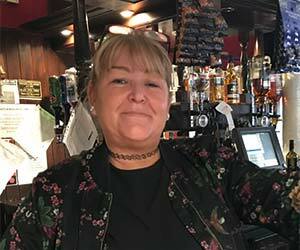 Claire’s bubbly personality ensures every single customer – whether a local or tourist – feels instantly welcome in this cosy wee pub, which has been in her family for almost 40 years. 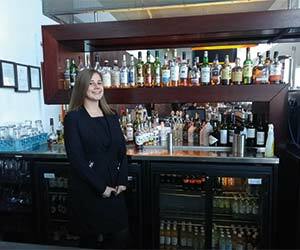 The bar is home to a vast array of spirits – particularly whiskies – and a broad range of beers; and Claire works with producers and suppliers to ensure her and her staff’s knowledge is top notch. 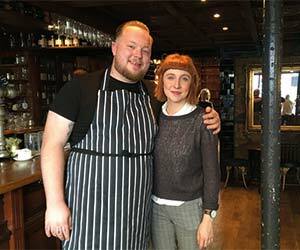 Seven years after taking a part-time job in a pub, Becky has built a career in the trade. 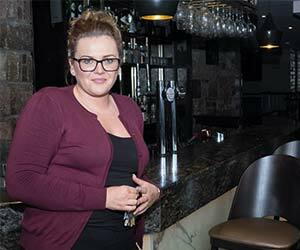 She has been manager of this busy Linlithgow pub for the last 18 months and has a firm grip on all aspects of the business, coupled with extensive product knowledge and industry qualifications. She works closely with the tight-knit team to ensure customers receive a warm welcome and a first-class experience. 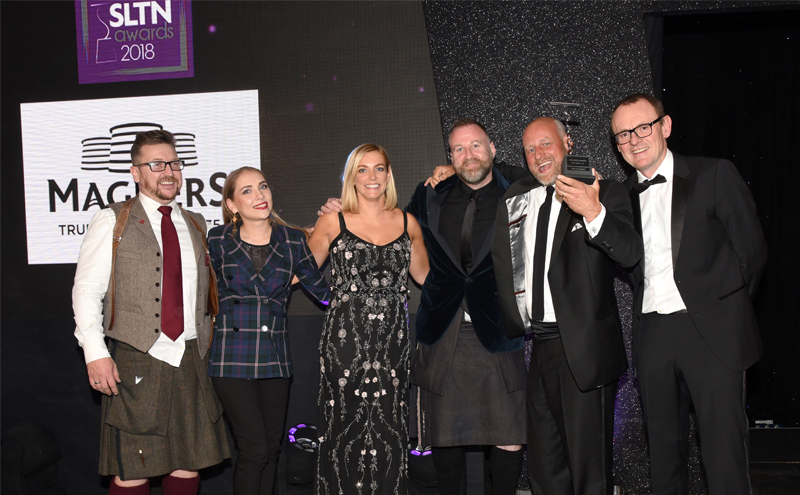 It’s been a whirlwind year for Jody, who opened his first venue, Kin, in the capital last November after a career in some of Scotland’s best-known cocktail bars and as a brand ambassador. 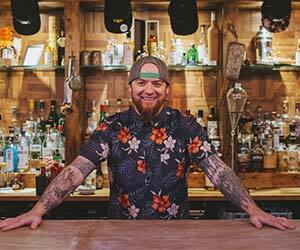 Twelve months on, Jody has helped build his debut outlet’s reputation as the quintessential bartenders’ bar, impressing judges with his personal and imaginative approach to mixology, commitment to sustainability and encyclopaedic knowledge of spirits. 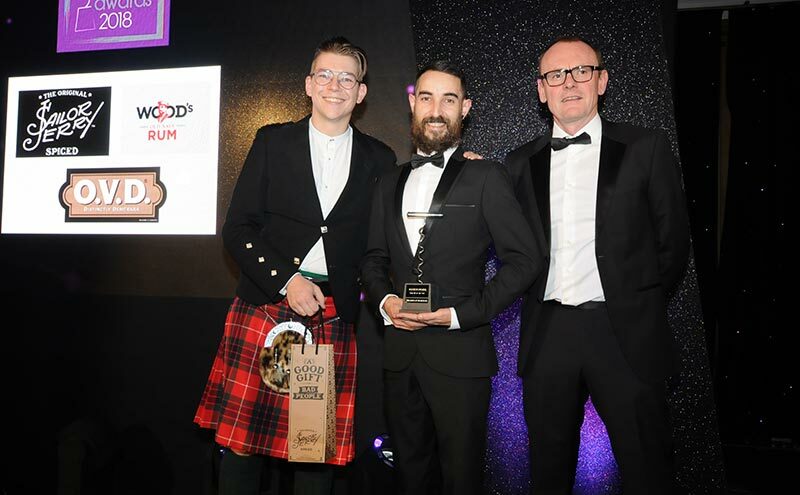 A senior figure on Scotland’s mixology scene at the tender age of 26, Nick has worked hard to recruit and train a new team of bartenders at Orchid over the last year in his role as general manager. 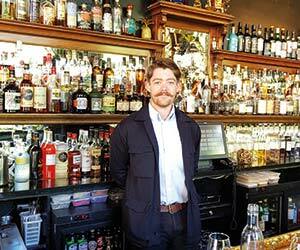 His experimental cocktail-making, evidenced in his clarified milk punch and successful use of the bar’s rotatory evaporator, exhibits the extent of his ability and underlines his considerable standing in Scotland’s cocktail circles. 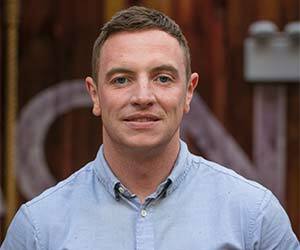 Veteran mixologist Grant Murray ensures the bars he looks after as a multi-site manager have intriguing and popular drinks menus. This is very apparent in Scotch & Rye, where Grant has pioneered an impressive and varied assortment of cocktails, which pays homage to everything from Alice in Wonderland to peated malts. His dedication and desire to improve the art of mixing in Inverness and beyond went down well with judges. 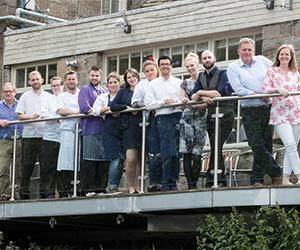 With a passionate, highly-skilled chef at its helm, intuitive service out front and a mentoring approach to staff training, this esteemed establishment continues to thrive. 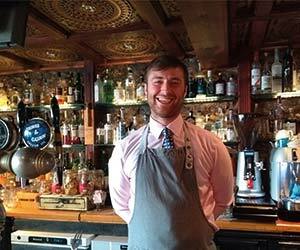 The fruits of Scotland’s larder are presented on plates with flair, bolstered by a superlative array of drinks. 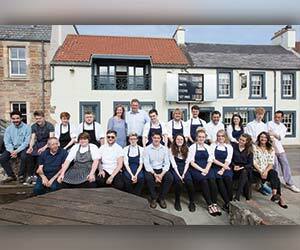 Celebrating its tenth anniversary this year, Cail Bruich continues to forge ahead. 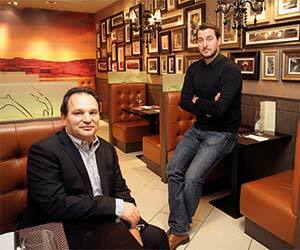 A recently-refurbished interior creates a stylish setting for contemporary dishes served with panache. 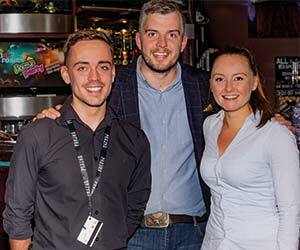 And an innovative cocktail list, bespoke beer and new bar menu have proved popular. 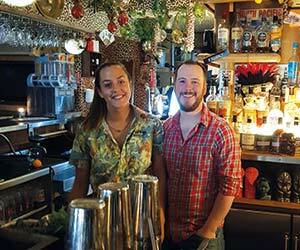 Seafood, seasonality and switched-on staff are hallmarks of this bar and restaurant. Alongside the failsafe fish dishes, the kitchen is given freedom to experiment with flavour combinations, backed up by an enthusiastic and knowledgeable FOH crew. 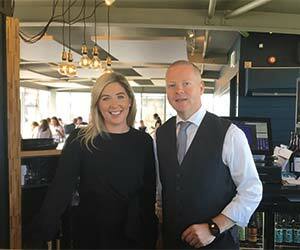 The McGinty’s Group has transformed this fine dining restaurant into a light-filled space with panoramic views over Aberdeen harbour. A reasonable-priced, brasserie-style menu focuses on the best local fish, seafood and meat complemented by a well-balanced drinks offering. 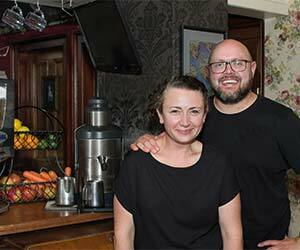 Local produce is taken very seriously at The Bridge Inn – so much so that many of the ingredients come from the owners’ smallholding just 400 metres away. Along with goods sourced from nearby suppliers, the home-grown produce is showcased in menus that combine pub classics with more adventurous dishes. 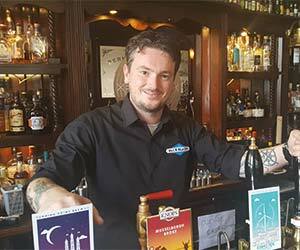 A robust training programme ensures all members of the team are knowledgeable and passionate about this canal-side pub’s food and drink offer. 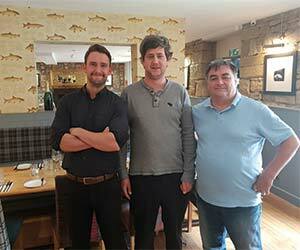 A popular haunt of Fife fishermen in the 1830s, this seaside pub has been brought bang up to date by the current owners with an interior that blends original features with contemporary design and a food and drink offer that showcases the best produce from the East Neuk of Fife. From meat and game from a local estate to the freshest catch of the day landed just yards from the pub, quality produce is showcased on menus which are very much driven by availability. 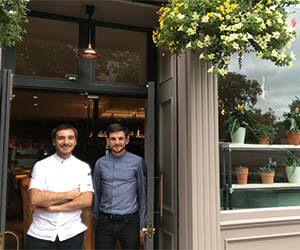 Food most definitely takes centre stage at this family-run gastropub, with the open kitchen, which links the original pub with the recently-added contemporary extension, giving diners a bird’s eye view of the brigade hard at work with an abundance of fresh, locally-sourced produce. Menus evolve constantly to reflect availability of the best local ingredients and there’s an impressive drinks range structured to complement the quality food offer. 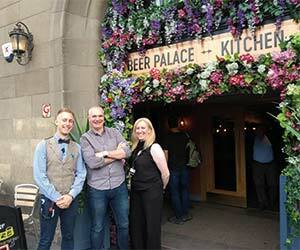 A haven-like garden gem in the capital’s Tollcross district, The Blackbird fuses art, craft drinks, cocktails and social media marketing to provide an outdoor area for the post-Millennial age. Taking design cues from east London and New York, and combining upcycled furniture with decking, planting and a pop-up bar shed, The Blackbird ensures its garden is laid-back and cool. The Castle Tavern has a powerful location that overlooks Inverness Castle and is close to many hotels and hostels. The pub pre-dates the castle and its owners had serious work to do to enhance its terrace, so that it could work to its full potential. Now it is a remarkably effective outdoor space – with an excellent view, atmospheric whisky memorabilia, parasols and TV screens. 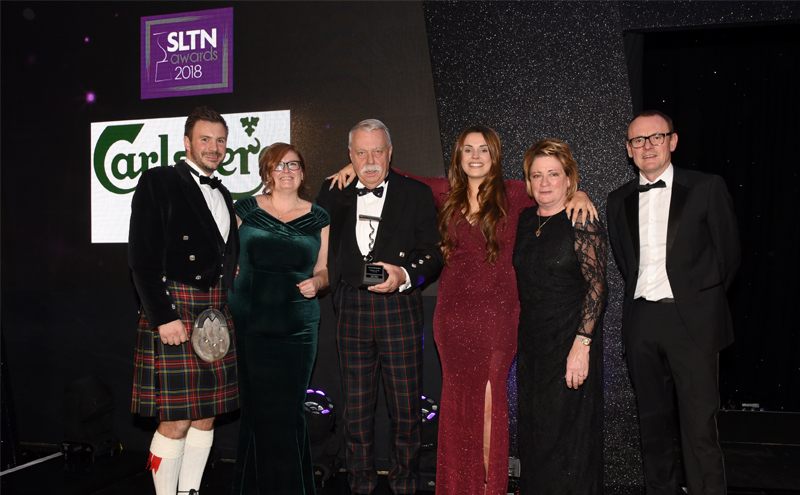 This venue makes the very best of a stunning lochside location, with outdoor platforms, a jetty and attractive furniture all featuring in an outdoor area that captures the best of Scotland. 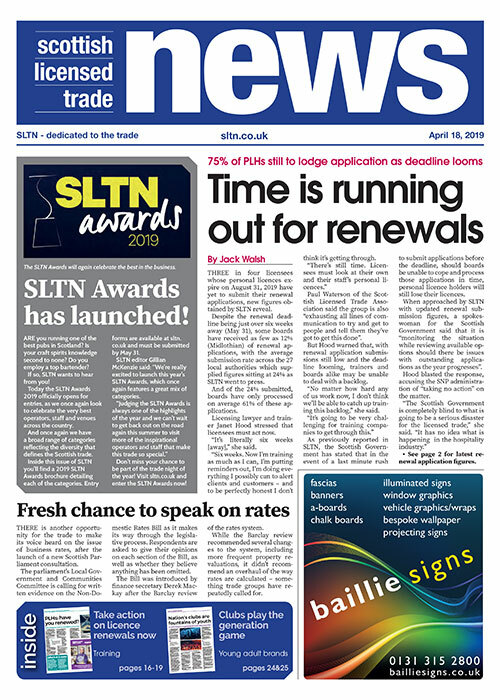 In recent years decking has been revitalised; and the business works with local suppliers of food, drinks, sea-plane hire and garden services to make the venue special and a great place for a bridal barbecue. 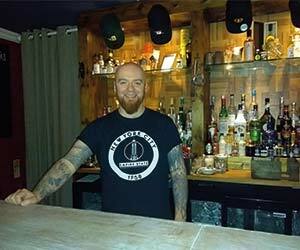 The Crafty Pig combines live sport with craft beer and BBQ food to offer city sports fans something unique to the area. 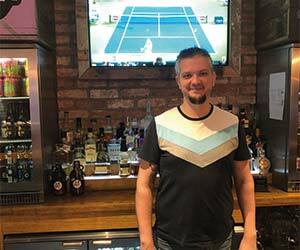 As well as television sets behind the bar, the venue has ten private booths, each with its own screen, allowing customers to view their own choice of sporting event. 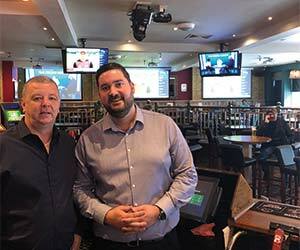 In addition to the ever-popular football and rugby coverage, the venue has started catering to a small but growing group of American sports fans and all regulars are kept up to date with fixtures through the bar’s social media channels. With 28 screens, four projectors, a zoned sound system and state-of-the-art lighting, the Foundry is a venue with live sport at its heart. The bar has been positioned to appeal to sports fans of all ages and the customer is king on match days, with table service ensuring not a moment of the action is missed while queuing at the bar. The Foundry is also very active on social media, asking followers what sport they want to see, which allows the team to tailor its offer to the venue’s regular customers. From the outset, Malones was designed to provide the best possible experience to sports fans, whether they arrive looking for football, rugby, boxing or any other sport they might request. 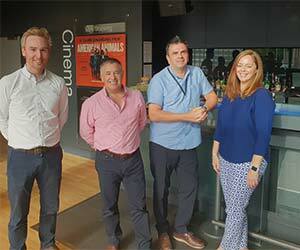 While the venue’s interior has been positioned for sports fans since the outlet opened in 2014, the offer was recently extended to the third floor with the opening of a rooftop beer garden with outdoor TVs. On match days, the venue introduces a special ‘sports menu’ to ensure food is available quickly to customers. A well-established nightclub in one of the country’s main student cities, Fubar continues to build on its social responsibility credentials. Training of all members of staff is extensive and features specially-developed modules and one-to-one mentoring. The venue was heavily involved in the development of the local Pubwatch scheme; and the team works closely with local police, licensing officers and other authorities and organisations like the Street Pastors. 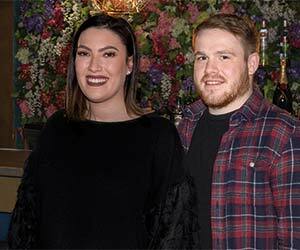 This bar and restaurant, linked to an upstairs nightclub, has taken an innovative approach to making nights out safe and comfortable for its customers. With pressure on taxis it stays open and serves food and soft drinks until 4am and links closely with the local taxi provider. It is fully involved in Pubwatch and Best Bar None, operates Angel Shot – its own version of Ask for Angela – carries out extensive training, and has state-of-the-art safety and security technology. 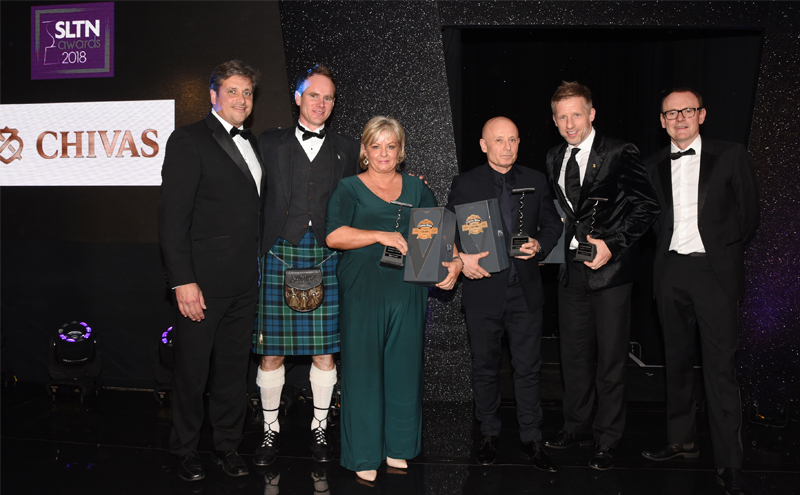 Sportsters in Falkirk celebrates its tenth anniversary this year and responsible retailing remains key to everything it does. 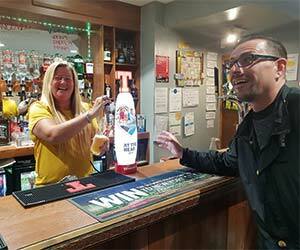 Operations are based around policies intended to reflect the licensing objectives; and the venue works with many local organisations and is fully involved in Pubwatch, Ask for Angela and other initiatives. Judges were impressed by its safe area and first aid facilities, its CCTV system, and the use of bodycams by its in-house stewarding team. 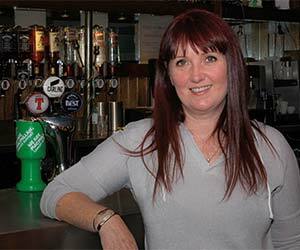 With 28 years’ experience working behind bars, Donna has seen big changes in the role of the pub over the years. She believes that, more than ever, many customers now come in for a bit of company and a chat and she always has the tea and toast ready for early arrivals and soup in the winter. Outside of work, Donna can often be found delivering food and warm clothing to Glasgow’s homeless. Margaret’s regulars are so fond of her that when the pub she worked in closed, one of them bought it and put her in charge. 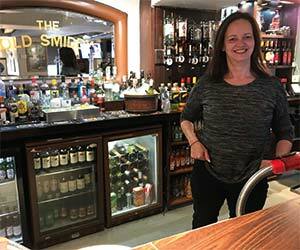 Customers are now at the heart of everything Margaret and her team do in the bar – from holding a list of phone numbers so that they can check on them if a particular regular doesn’t appear at their usual time to personally driving some to hospital appointments. 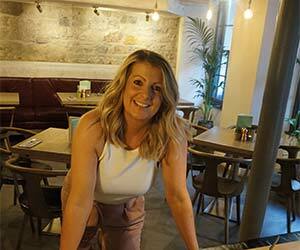 Having worked in the Old Smiddy for 24 years, Kathleen has built up strong relationships with the community and often leads charity drives for the local school and church as well as for wider city and national causes, including the Beatson Centre and Mary’s Meals. As well as hosting a Christmas lunch for local pensioners, Kathleen delivers a hot lunch to an elderly neighbour of the pub. Live music seven days a week, quality food and an extensive range of premium, locally-sourced drinks are all staples of this Inverness institution. 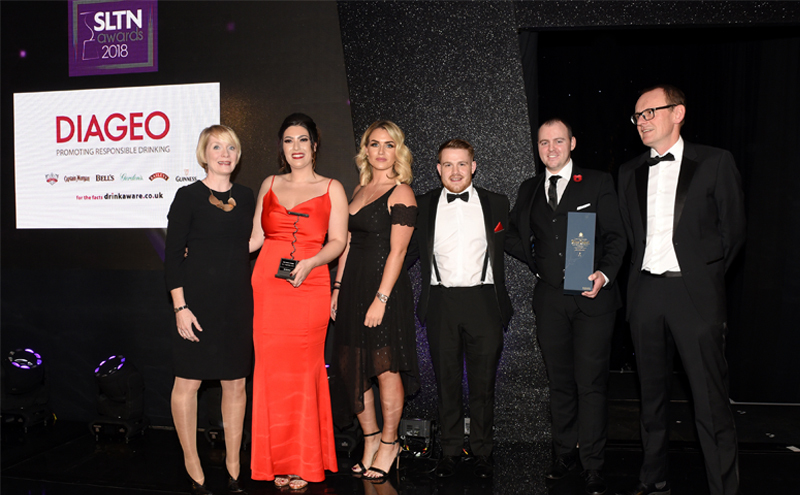 But it’s the approach to staff development that really sets the business apart, with all full-time staff having participated in SVQ training courses. 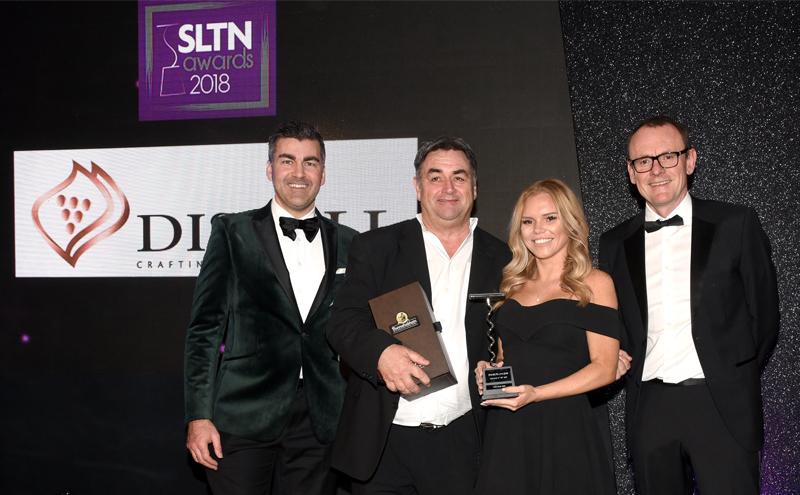 This investment has paid dividends both in terms of the venue’s very low staff turnover and in the outlet’s strong year-on-year financial performance. 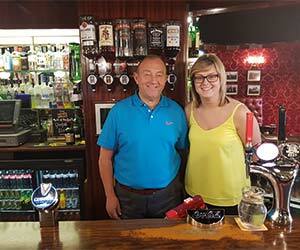 What this traditional pub lacks in size it more than makes up for in character and customer service. 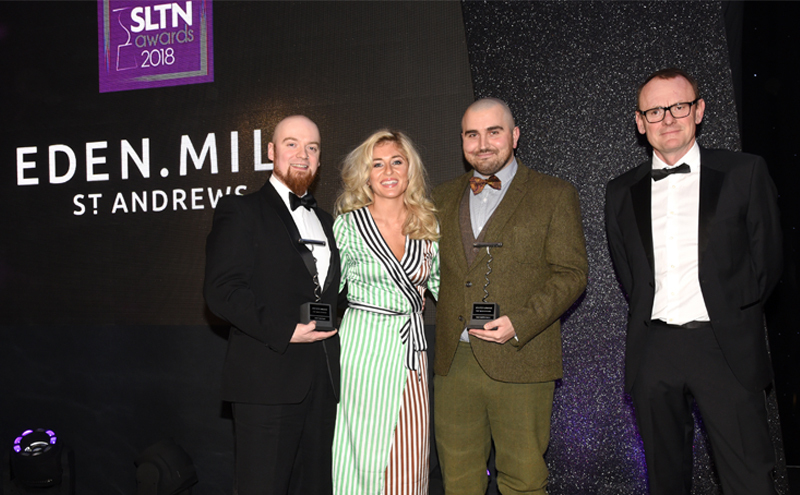 Local ales and spirits sit alongside a carefully-selected range of other premium products, and a firm focus on profit margin allows the team to continually re-invest in the business. Ongoing training, both in-house and the use of recognised training qualifications, ensures the team is continually developing and offering the best customer service. 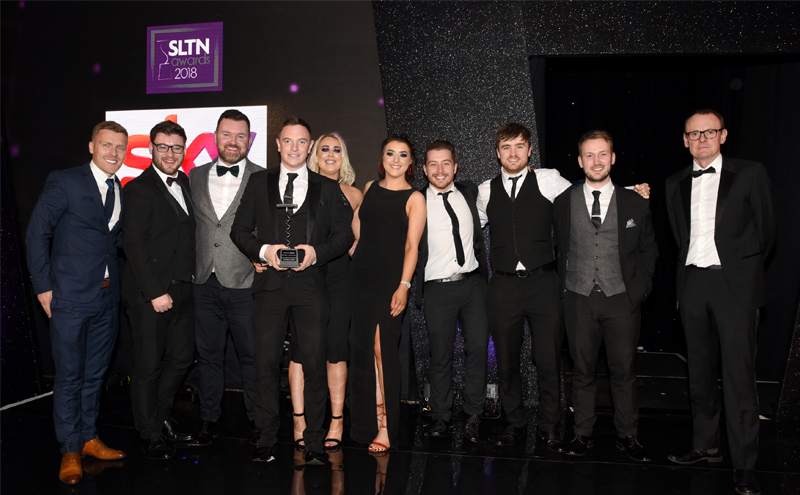 A place for all – from rockers and hipsters to sports fans and grans – Saint Luke’s offers ‘food for soul’ which has paid off for the business, allowing the team to reinvest and expand the kitchen twice in just three years. Continued like-for-like financial growth has also allowed the team to create a beer garden, bringing an extra 80 covers to the space. An in-house training manager ensures staff are continually developing. 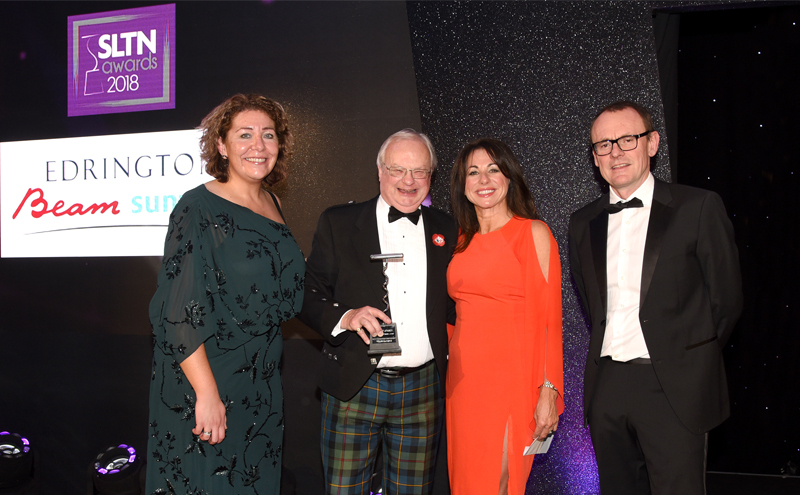 It may be 35 years since the group was founded, but DRG certainly isn’t resting on its laurels. 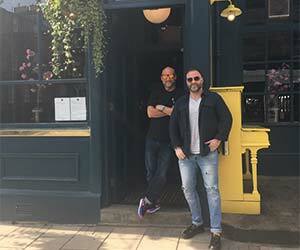 Led by Mario Gizzi and Tony Conetta, DRG continues to expand, with a 64-room aparthotel above The Anchor Line in Glasgow and a Café Andaluz on Edinburgh’s George IV Bridge among recent additions. 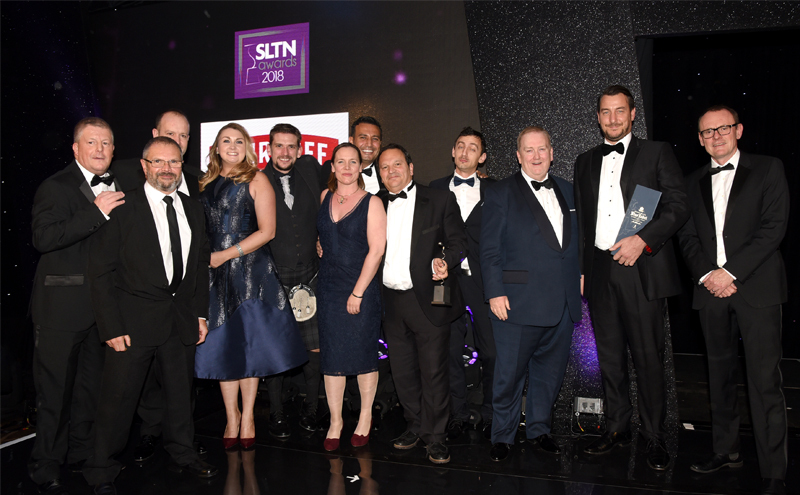 Alongside its physical expansion, the group has underlined its commitment to staff development with a range of new measures, including the launch of a Modern Apprenticeship programme. 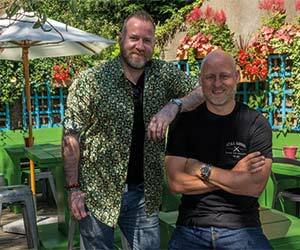 Since café bar Jute opened in Dundee Contemporary Arts Centre 20 years ago, Gordon Fuller and Gary Thomson have steadily built a portfolio of seven outlets in the city and in Edinburgh, where they are credited with launching some of the earliest craft beer bars. 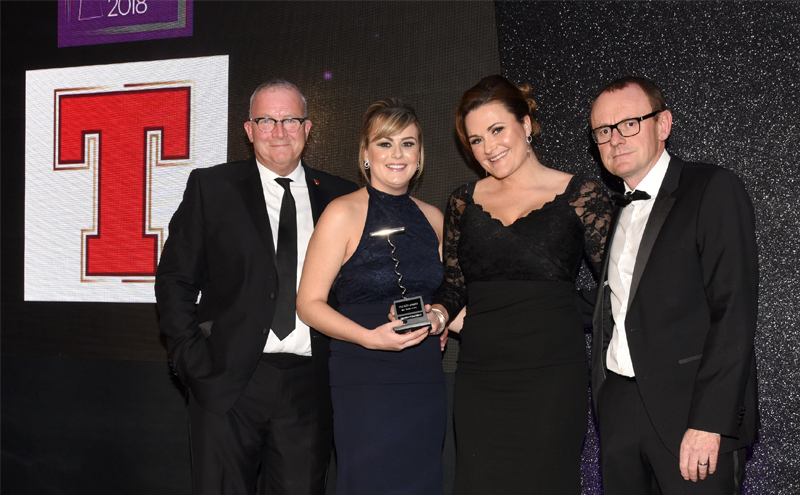 Staff development is a major focus for Fuller Thomson, and, along with a robust training programme, the group works with various hospitality industry and ‘back to work’ charities and visits local schools to promote hospitality as a career. 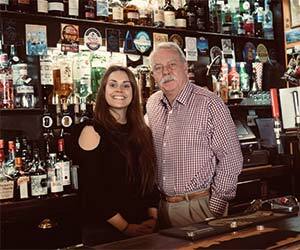 A love of breathing new life into traditional Edinburgh pubs was the catalyst for husband and wife team James and Jacqueline Nisbet to lay the foundations for the Kilderkin Group, which now numbers five units in the capital. 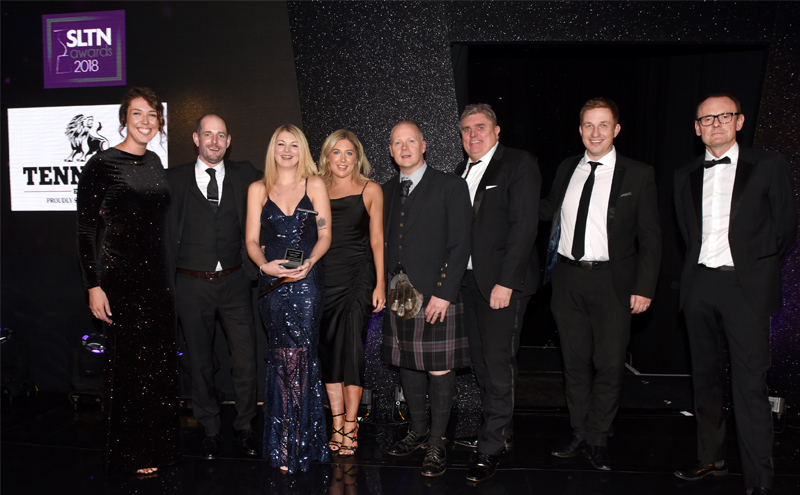 Kilderkin works closely with training companies and its suppliers, and is passionate about staff development and career progression within the group. It recently gained Living Wage accreditation for paying staff the real living wage, and offers employees a range of additional benefits. 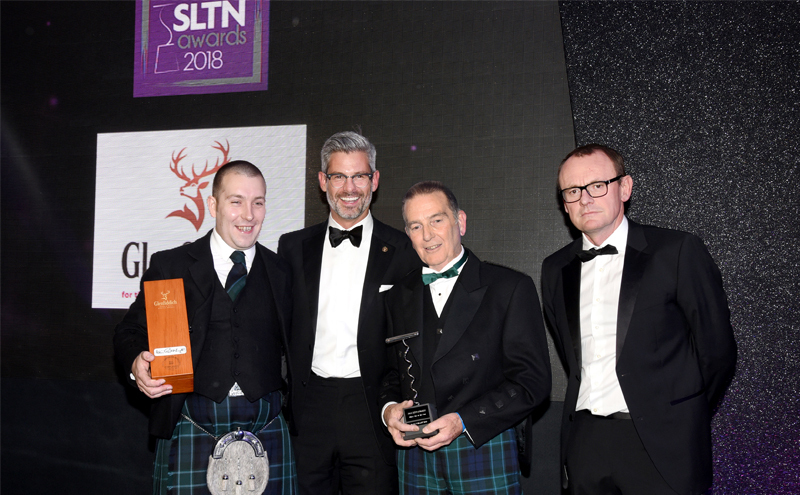 SLTN and Chivas Regal have joined forces to search for the licensed trade’s most inspiring and successful entrepreneur, acknowledging the very special role played by Scotland’s licensed trade entrepreneurs in ensuring Scotland retains one of the most successful, inventive and innovative licensed trades in the world. We are looking for an operator and/or a project that stands out, gains prestige for the industry and moves the trade forward. Who will it be in 2018? 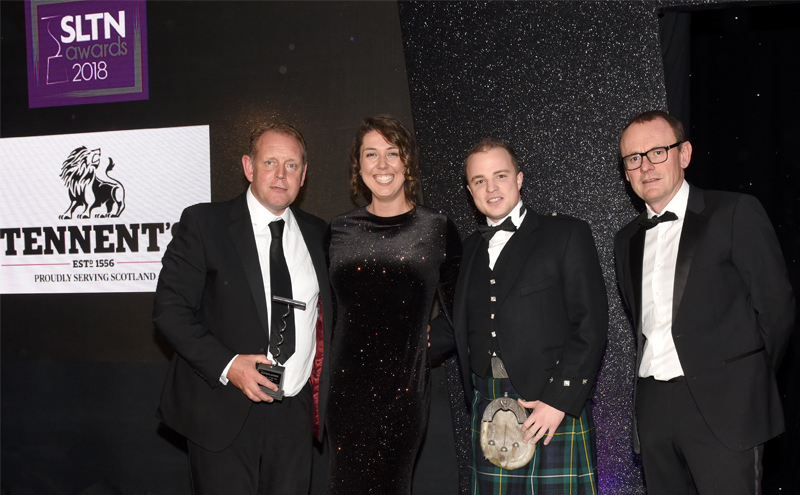 The most important influences on Scotland’s licensed trade are the people who play their part in it – as owners and entrepreneurs, managers and educators, activists and innovators. 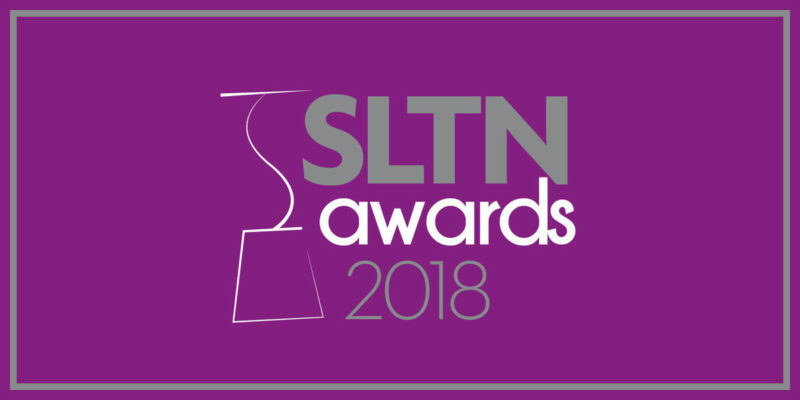 The SLTN Industry Achievement Award 2018, presented in association with Edrington-Beam Suntory UK, will recognise an individual member of the trade who has made a very special contribution. Who will that very special member of the trade be in 2018?